Understanding local tastes is key too. Innova Market Insights note how “chilled mango sage cream with pomelo” (yangzhi ganlu in pinyin) is trending in many new products, from yogurt to ice cream. The traditional Chinese dessert flavor has for example appeared in the recently tracked Tianyou Truyearn Mango, Pomelo and Sago Flavored Yogurt Drink, illustrating an expansion beyond the traditional application. China has been constantly on the radar for global growth opportunities, but several moves from major European suppliers suggests that innovation is being taken to the next level. Click to EnlargeLast week, Firmenich opened its largest flavor manufacturing plant in the world in the Zhangjiagang Free Trade Zone in China.Last week, Firmenich, the world’s largest privately-owned perfume and taste company, opened its largest flavor manufacturing plant in the world in the Zhangjiagang Free Trade Zone in China. Operating with digitally-advanced manufacturing systems and the highest quality, health, safety, security and environmental standards, this state-of-art plant is designed to best meet growing customer demand in China, with increased speed, operational excellence and traceability. Firmenich has been established in China for over 30 years. The new facility complements the Group’s existing manufacturing sites in Shanghai and Kunming and extensive network of commercial facilities from Shanghai and Beijing to Guangzhou. 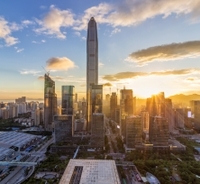 Having operated its own subsidiary in the Greater China region for over 25 years, Wacker has greatly expanded its activities in the region over recent years. Accounting for over €1 billion or around a fifth of Group sales, the region is Wacker’s most important single market. The Munich-based chemical company employs more than 1,000 people in China, operates sales offices in the country’s most important economic regions and has two technical centers, together with three production sites in Zhangjiagang, Nanjing and Shunde, respectively. The Wacker Greater China subsidiary is headquartered in Shanghai. Just today (March 20), Wacker Chemie AG opened a new laboratory for food applications in Shanghai. This specialized lab will enable Wacker to provide its customers in Asia with “even better support in developing innovative, customized products in the fast-growing food market.” The focus is on food ingredients, for example for egg-free baked goods, whipped toppings or functional beverages, on dietary supplement ingredients such as highly bioavailable curcumin and on chewing-gum applications, for instance moldable sugar-free gum. Click to EnlargeWacker Chemie AG has opened a new laboratory for food applications in Shanghai. Wacker stresses that Asia’s food market is flourishing, with China’s food industry, in particular, profiting from the strong purchasing power of its middle class. At the same time, the sector must face new challenges, with consumers attaching ever-greater importance to healthy and sustainable nutrition, as well as products that are quick and easy to prepare. With the lab for food applications in Shanghai, Wacker is broadening its range of services in the fast-growing China market. The Wacker Shanghai Center already houses a regional technical competence center, where Wacker experts tailor silicone and polymer products to the specific requirements of their Chinese customers. This technical center now also boasts an applications laboratory for food-sector customers. “China is already the world’s largest market for food and beverages. And its growth continues to be strong. 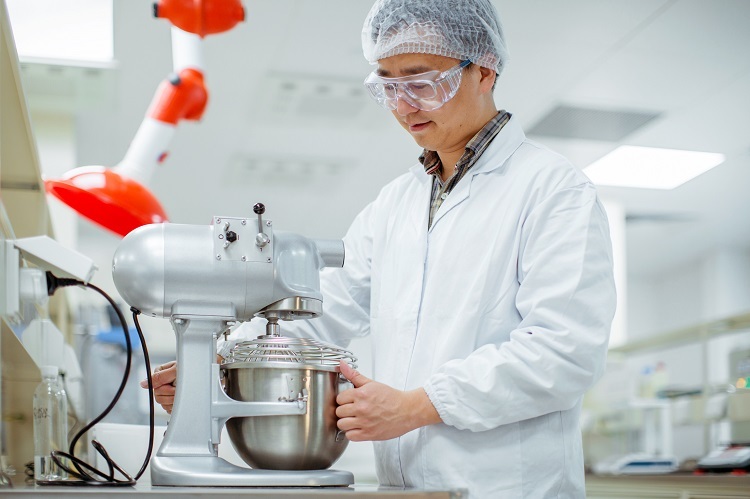 With our new lab for food applications, we are able to accommodate our local customers’ needs even better,” says Paul Lindblad, President of Wacker Greater China. “We offer support in developing innovative solutions that satisfy consumer tastes and expectations.” The new laboratory, which covers an area of some 150 square meters, focuses primarily on applications involving cyclodextrins, cyclodextrin complexes and cysteine, as well as chewing-gum applications. “China is one of the biggest food markets and is strongly growing in processed food, functional food and nutraceuticals”, Heiko Zipp, Director of the Business Team Nutrition at Wacker Chemie AG, tells FoodIngredientsFirst. “Our unique and innovative cyclodextrin technology platform with alpha-, beta- and gamma-cyclodextrins can address current food trends. We provide solutions for the global Mega Trend of Free From food – for example, products, which are free from cholesterol, free from egg, free from solid fats or free from animal-based ingredients. Cyclodextrins can also help to significantly increase the bioavailability of functional substances such as the powerful antioxidant curcumin, or the vitamin-like coenzyme Q10. This has been proven in peer-reviewed human clinical trials,” he explains. “China has been a major growth driver for the chewing gum industry for many years and it remains one of the most active and innovative markets around the globe,” adds Martin Seizl, Director of the Business Team Gum at Wacker Chemie AG. “In 2015, Wacker has strengthened its presence and commitment to the region with the start-up of our state-of-the-art production plant for Polyvinyl acetate, a key component of modern gum bases. Our new food lab in Shanghai will complement and further strengthen our regional presence in the chewing gum industry,” he says. This week it also emerged that Agrana had opened a new fruit preparations plant in Changzhou (China) to meet the burgeoning yogurt drink demand. The fruit, starch and sugar group Agrana yesterday officially opened its second production site for fruit preparations in China, following a €22 million investment in this new facility. Click to EnlargeAgrana yesterday officially opened its second production site for fruit preparations in China, following a €22 million investment in this new facility.Changzhou is located in Jiangsu province, around 150km north-west of Shanghai. The plan is to initially employ around 70 personnel at this new site, which will manufacture approximately 30,000 tons of fruit preparations, particularly strawberries, blueberries or peaches, for the fruit yogurt, bakery and ice cream sectors, as well as for food services. “We are delighted to be opening this new site after just one year of construction work. China is the world’s largest yogurt market and is growing fast. Their locations mean that our production facilities are in close proximity to major dairy product customers. 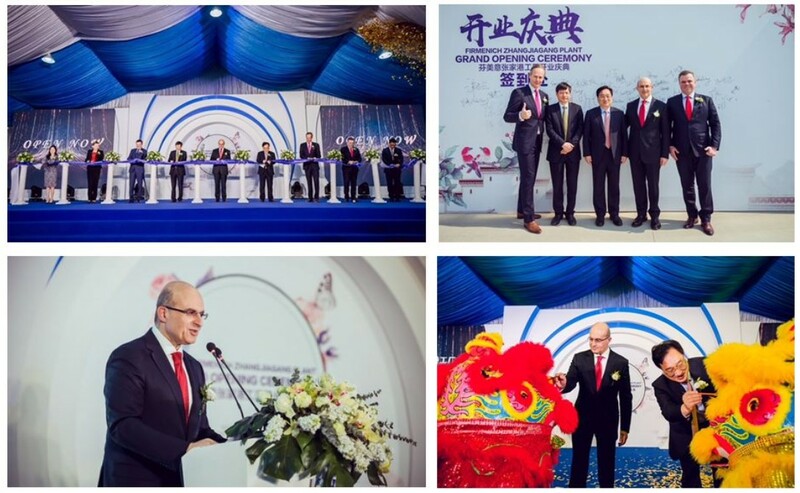 The construction of a second fruit preparations site in the Shanghai region was therefore a logical investment in order to consolidate our market leadership,” highlights Agrana CFO, Stephan Büttner, at the opening ceremony. Andrew Kuiler of The Silk Initiative notes several food trends that were particularly theming right now in China. “You have more curiosity about origin (not just country, but actual farm), and a proliferation of functional foods,” he explains. “Organic and vegan are catching on in certain segments. Organic is certainly something that consumers who are aware of it like. Another trend relates to MRO – baking (at home or in DIY bakeries), and the general cooking of Western food,” he adds. Keep in mind that kitchens, cupboards and refrigerators are small. The bulk purchasing at Costco/Sams Club is unrealistic for most households. Design packaging and value sizes that fit in a small kitchen. Building on this point, keep in mind that kitchen infrastructure/hardware is different. Many households don’t have microwaves, let alone ovens. Product usage will likely vary, so understanding the difference in how consumers use the product is critical. Never assume how consumers will use the product without testing it first. Consumer research testing is critical as such. With so much competition, key point of difference is now more relevant than ever. More importantly, that key point of difference needs to be from a consumer point of view and not derived in a boardroom/planning session. Need to stress your point of difference, given generally these Western brands are charging a pretty hefty price premium. Local options are improving and Chinese consumers are smart enough that they’ll feel ripped off if you’re massively overcharging vs back home. We are Firmenich. For more than 120 years, we have been delivering powerful, memorable taste experiences to people across the globe. We are an independent, family-owned company with the freedom and flexibility to invest in the long-term sustainability of our business, which ultimately benefits our clients and their consumers. The world’s leading brands trust us to create distinctive tastes that people prefer—but for us, taste is only part of the story. Since our founding, we have been driven by our passion to understand consumers, so we can give you insights into what they desire, both today and tomorrow. As your partner, we'll help you find innovative solutions to meet your food and beverage needs and satisfy your consumers. Whether you’re looking for refreshment, indulgence, bold tastes, or nutrition and wellness, we have relevant solutions to drive consumer preference. We are relentless and responsible in our pursuit of innovation and we invest 10 percent of our annual turnover into research and development each year. Whether you want to deliver taste experiences at home or abroad, you’ll benefit from our global presence and firsthand knowledge of local and regional tastes. At Firmenich, we go beyond your expectation. It’s why we are Preferred Beyond Taste.